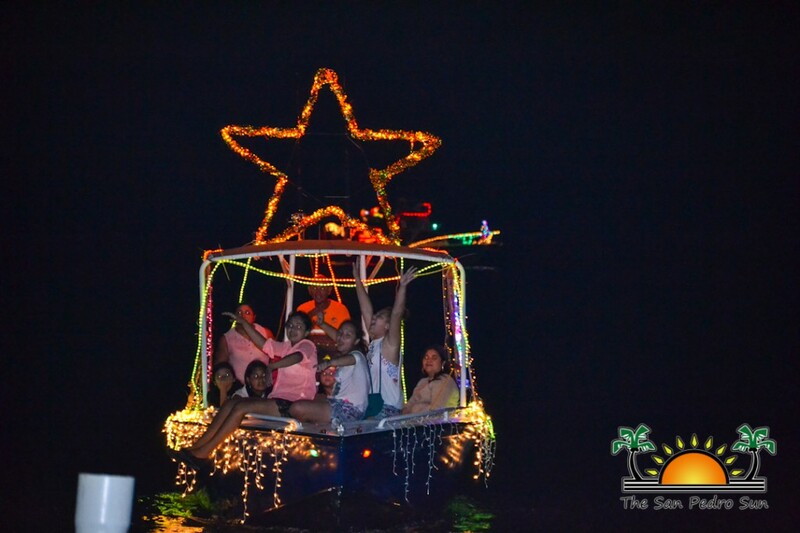 Home » Community and Society » Holiday Lighted Boat Parade is a GO! 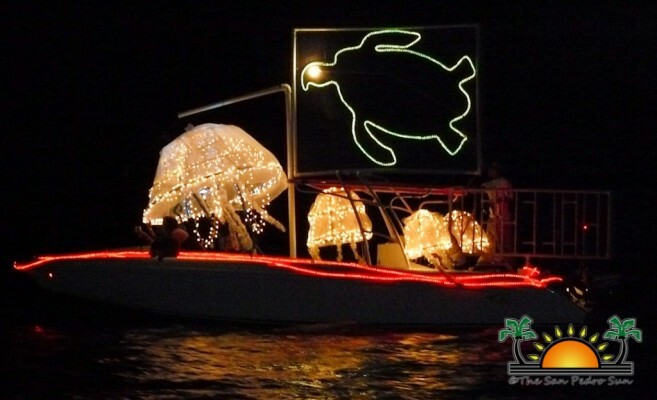 The 2015 Holiday Lighted Boat Parade is back on with the assistance of local businesses. Main organizers for the parade, the San Pedro Business Association (SPBA) had announced the cancelation of the event on Tuesday, November 17th due to lack of community support and low boat participation. With a new group of organizers, the 2015 Holiday Light Boat Parade promises to bring an evening filled with spectacular lights, food, cash and prize giveaways as well as much Christmas cheer. The official date for the parade is set for Saturday, December 19th starting off at Wayo’s Beach Bar at 5PM. 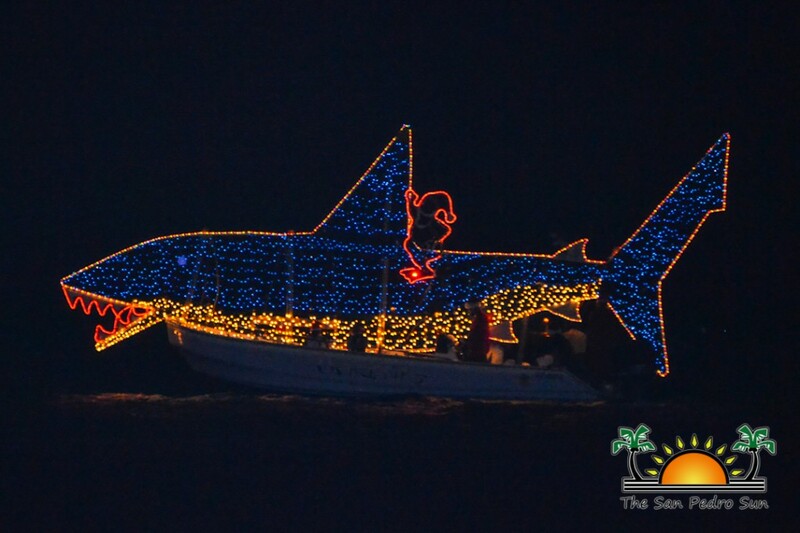 The Holiday Lighted Boat Parade has been an iconic Christmas event since 2006. After hearing of its cancellation, a group of business teamed up with several island charities to ensure the parade will go on. Heading the organization of the parade is Dee Regis Vasquez from Wayo’s Beach Bar and Aqua Vista Beachfront Suites. To make the parade even more special, organizers have announced that proceeds will benefit the San Pedro Food Bank, Saga Humane Society and the Ambergris Caye Elementary School. The parade will start off at the dock in front of Wayo’s Beach Bar where boats will line up. The spectacularly decorated vessels will then make their way north to Coco Loco’s Beach Bar which has been designated as an official viewing station. The boats will make a turn there and head south up to Crazy Canuck’s Beach Bar, which is also a viewing station. The parade will once again turn and head back north to SandBar Beachfront Hostel and Restaurant where the parade will officially end. The award ceremony will be held at SandBar immediately after the parade where the winners will be announced. There will also be 50/50 raffles, silent auctions, music and much to eat and drink at SandBar. Tickets for the 50/50 raffle will be sold at all viewing stations with the winning raffle ticket to be drawn at Sandbar at the end of the parade. The winner will receive 50% of the overall pot, while the other 50% will be split amongst the three charities. Judges will be stationed at Wet Willy’s dock where they will be selecting winners for the Best Charity boat, Most Creative boat and Most Festive boat. In addition, for a fee of $30 you can ride along in the parade on a boat of their choice. Fees collected from those wanting to ride along will also benefit the charities. Seats are limited, so those interested in riding along are urged to make reservations ahead of time by contacting organizers or buying tickets at the abovementioned official viewing stations. Island Dream Tours will also be offering a VIP style boat ride. For the cost of $150BZ per person, you can enjoy a cruise, including an appearance by Santa Claus, open bar and dinner. To enter a boat, email [email protected] for further information. There is no registration fee for participating boats.